On this Student Spotlight during USC Dornsife Week: Social conservatives find the most meaning in life. David Newman, PhD. Candidate in social psychology, looks into why. 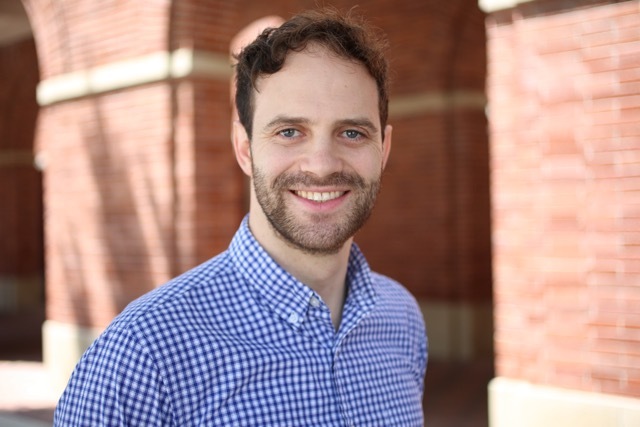 David B. Newman is a Ph.D. candidate in social psychology at the USC Dornsife College of Letters, Arts and Sciences and is a member of the USC Dornsife Mind and Society Center. He received an M.A. in experimental psychology at the College of William and Mary and a B.A. in psychology at the University of Virginia. His research is primarily focused on understanding well-being in ecologically valid contexts. To capture within-person variations in daily and momentary states of well-being, he often uses daily diary and experience sampling techniques. Some of his current research addresses how people find meaning and purpose in their daily lives. Want to know how to find meaning in life? Perhaps you should ask a conservative. My colleagues and I found consistent evidence that, over the last several decades, conservatives have reported greater meaning and purpose in life than liberals, regardless of what country they live in. We examined data from studies in 16 countries, including the United States, with a combined total of 25,000 participants. In some study surveys, the participants were asked to reflect on their life in general. In others, they were asked to reflect on their day or the present moment. Some of the data were collected in the 1980s and others as recently as 2017. Across the board, conservatives found their lives, days, or moments more meaningful or purposeful than liberals. Though the difference was relatively small, it was consistent over time and was roughly comparable to the size of the effects of income and health on meaning in life. Conservatives also reported somewhat higher life satisfaction and happiness than liberals, but the difference was most pronounced when comparing how people in each group associate a sense of meaning or purposefulness with their lives. It’s easy to assume that varying views on religion and faith account for the gap, but even when we statistically control for religiosity, the difference between liberals and conservatives remains. The link between conservatism and meaning in life was strongest for social conservatives — that is, people who oppose gay marriage, abortion, and similar issues. The link was less pronounced among economic conservatives, who emphasize free market issues. This sheds light on one possible reason conservatives find more meaning in life: social conservatives resist cultural change and accept the status quo. That could contribute to their sense of coherence and stability, and to their perception that life is meaningful.